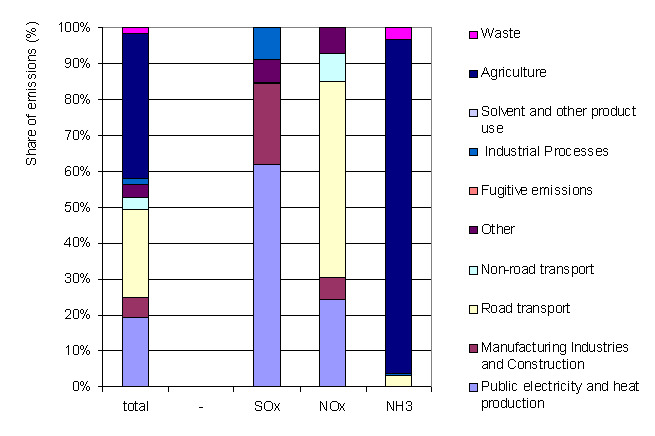 Between 1990 and 2011 total emissions of acidifying and eutrophying substances (SOX, NOX and NH3 in Slovenia. 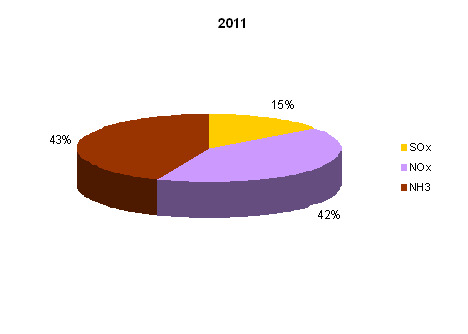 The largest percentage of sulfure oxides of decrease over this period have been for 95%. Emissions of nitrogen oxides were reduced by 25%, ammonia emissions by 18%. 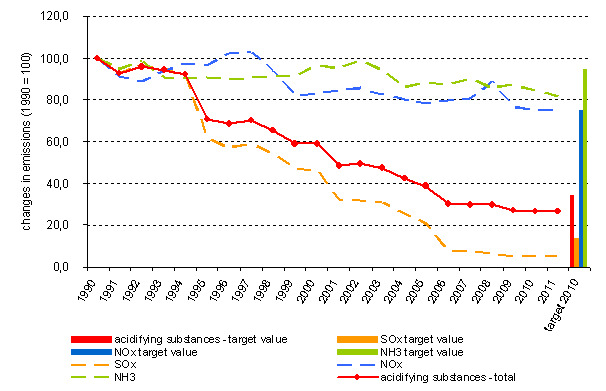 Emissions of sulfur oxides, nitrogen oxides and ammonia were in 2011 below the limit value set for 2010. 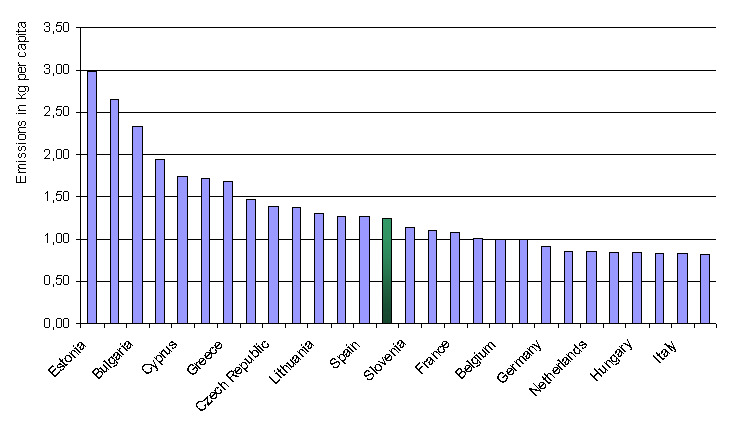 Comparison of acidifying and eutrophying emissions per capita ranks Slovenia to the 15th place among the EU-27 countries in 2010.